PTA to block non-complaint smartphones in Pakistan after 20th October 2018. PTA to Block Smartphones after October 20. it’s a great step by the Pakistan Telecommunication Authority (PTA) that all the illegal and no-complaint devices such as smartphones will stop working after the 20th October 2018 across the country20 as part of a massive drive against fake IMEIs (International Mobile Equipment Identity) number. Thanks to the earlier launched system Device Identification, Registration and Blocking System (DIRBS) in order to permanently block the snatched and smuggled mobile phones in the country. 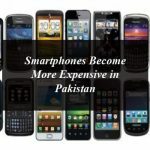 In Pakistan millions of handsets, have been smuggled or not registered with the PTA that contain the duplicated IMEI numbers and were smuggled or imported through grey channels. A number of mobile phones with duplicate IMEIs are available in the market at cheap rates and are the copy of the branded smartphones. All the illegal mobile phones that don’t come with a valid IMEIs will be blocked after 20th October, 2019 in Pakistan. All the telecom operators in Pakistan are sending SMS to their users as per PTA order regarding the blockage of the illegal and non-complaint smartphone in the country that don’t have IMEIs number. The telecom operators asking the customers via SMS to check the IMEIs numbers of their smartphone by sending SMS to 8484. Buy only PTA complaint mobile SIM based devices. Please check the status of the IMEI by sending SMS to 8484. Non-complaint devices will not work after 20th October 2018. How to check IMEI Number of Mobile Phone? All the legal smartphones have the IMEI numbers. It’s in actually the identity number of your smartphone. Usually the IMEI number is placed at the back of the smartphone where the battery placed. It is also written on the box of the mobile phone. If you have non-removal battery smartphone you can check the box and also check the IMEI number by dialing *#06# on the mobile phones. But in order to check that you mobile phone is legal and contains the official IMEI number you need to send SMS to 8484. Write IMEI in SMS and send it to 8484. 10 Paisas plus tax will be deducted after sending SMS to 8484. All the duplicate and smuggled mobile phones will be blocked after detection permanently. Now the smartphone users in Pakistan can verify the authenticity of their mobile devices in line with PTA regulations via SMS to 8484 and to check the status of IMEI log on dirbs.pta.gov.pk or download DIRBS android mobile app from Google Play and Apple app stores. TAGS: branded smartphones Device Identification duplicate IMEIs Google Play and Apple app stores How to check IMEI Number of Mobile Phone? 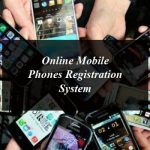 IMEI numbers IMEIs Mobile Phones mobile phones’ IMEI numbers Pakistan Pakistan Telecommunication Authority PTA PTA regulations Registration and Blocking System smartphones smartphones in Pakistan SMS telecom operators in Pakistan What is DIRBS?